Our passion is empowering children to master their emotional lives in a warm, safe, and dynamic environment. Our work with children and adolescents in drama psychotherapy and child play therapy, as well as talk therapy, is designed to facilitate healing and emotional processing. I believe it’s incredibly important and powerful to give children space to be themselves, to create a strong rapport, and empower them to make choices that will help them lead a more balanced emotional life. Knowledge about oneself in the world as a unique emotional being is a powerful tool, especially when learned young. In my practice with children, I use a combination of Psychodynamic Psychotherapy, Attachment Play Therapy, and Psycho-education to achieve these goals. I work with a wide variety of emotional difficulties, including familial transitions, trauma, bereavement, and social difficulties. In a warm, safe, and dynamic environment, I support children in mastering their feelings and cope with life’s challenges. I am a licensed Child Psychotherapist and I work with school-aged children (Ages 4-12) with a wide variety of emotional difficulties, including trauma, bereavement, and social difficulties. In a warm, safe, and dynamic environment, I support children in mastering their feelings, coping with life challenges, and leading a more balanced life. Our licensed child psychologists and psychotherapists have years of experience working with a wide variety of children in a wide variety of environments, including hospitals, group homes, school settings and of course private practice within the San Francisco Bay Area. Many of our therapists have special focused experience in childhood trauma, which covers everything from long term illness and bereavement, to bullying and school issues, and beyond. Alongside other Bay Area psychologists and psychotherapists, our team support the movement toward a Post Traumatic Stress Disorder (PTSD) diagnosis for children under the age of 18. 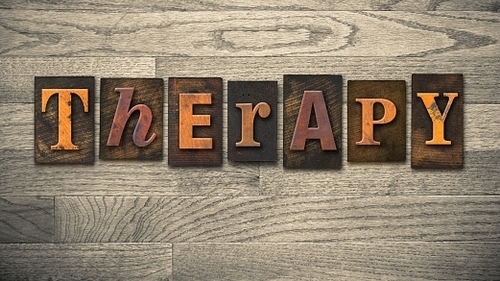 Today, psychotherapists are taking trauma treatment to a very effective level with children. Our East Bay Child Psychologists believe that with focused therapy, care and clinical intervention, children and teens can overcome and master all areas in their lives within a relatively short amount of time. After a brief phone conversation, we will determine which of our child therapists can be of best help to your child and family. Every family and child is unique and special and we take gentle and engaged care to get to know your overall goals, concerns, and any other information that will help your child and therapist move through the therapy process in the most effective and meaningful way. During our first session, your child therapist typically will want to meet with the primary caregiver before beginning evaluation and treatment of your child. You are your child’s expert; throughout the therapeutic process, it is important to us that the caregiver/parent feels included in every step of the way. We know children and families lead a busy life on the weekdays, therfore our East Bay Child and Teen Therapists schedule to accommodate families during weekend hours. Our East Bay Child Therapists work with the children as well as with the family to cultivate a foundation of support and care.